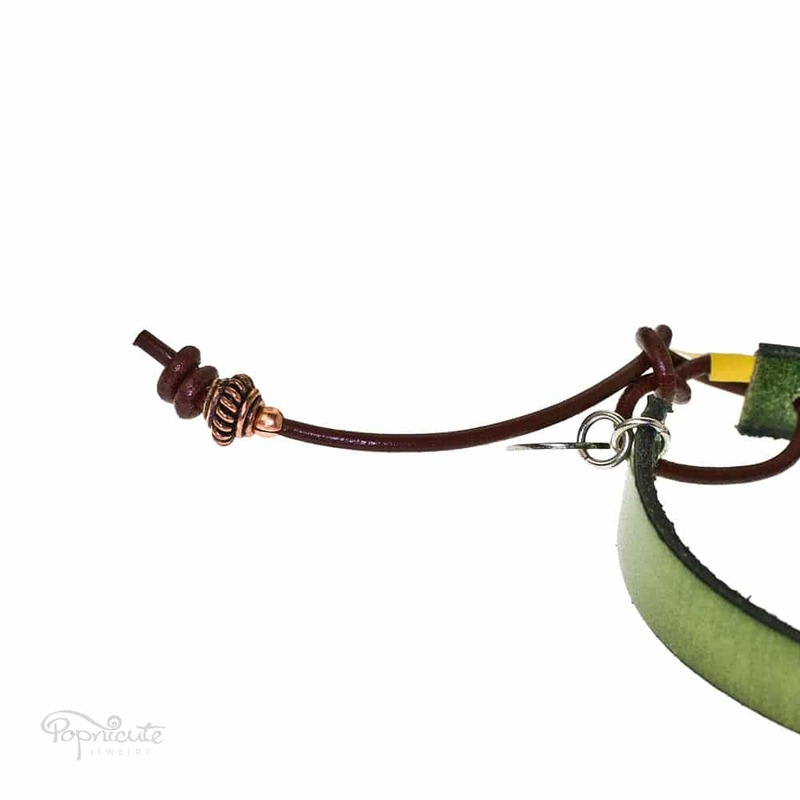 A darling brown black gear bracelet made of genuine leather. 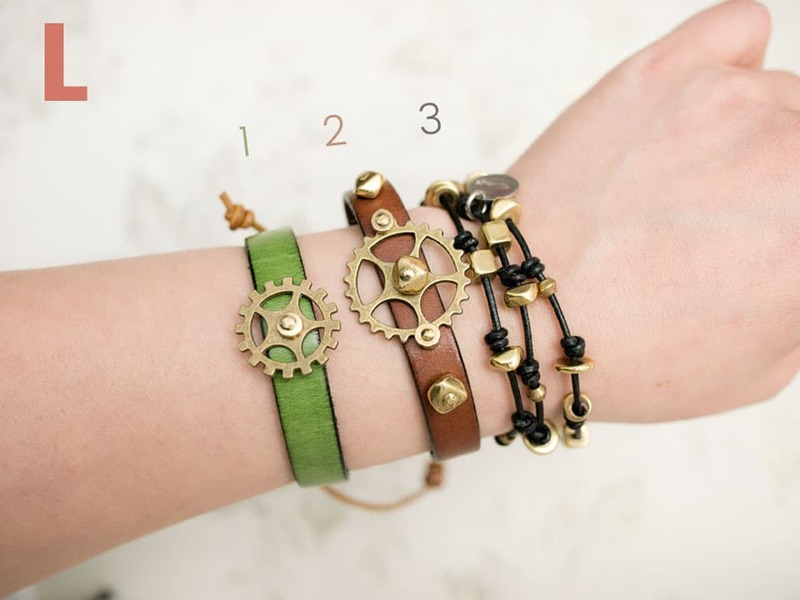 This steampunk-esq bracelet is fun for daily wear. 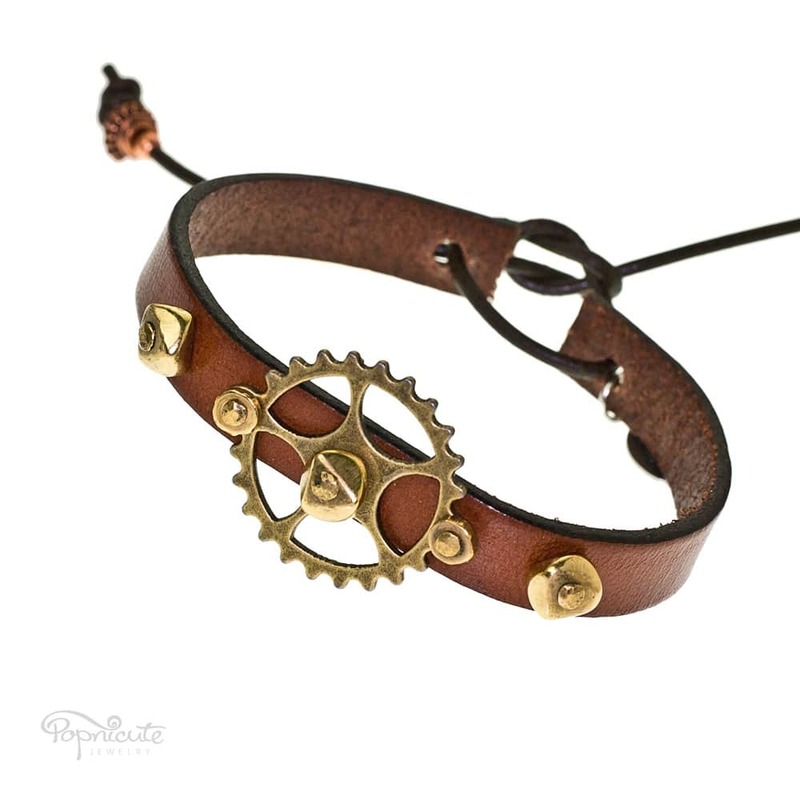 Makes a great gift for a fashionable steampunk lover. 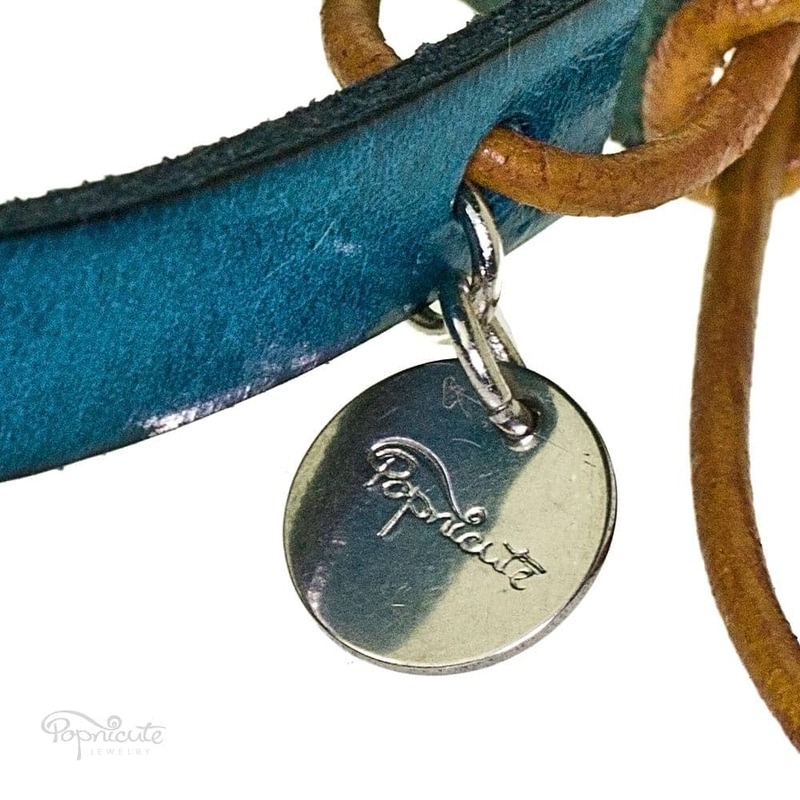 Biker chic or rocker chic in genuine leather. 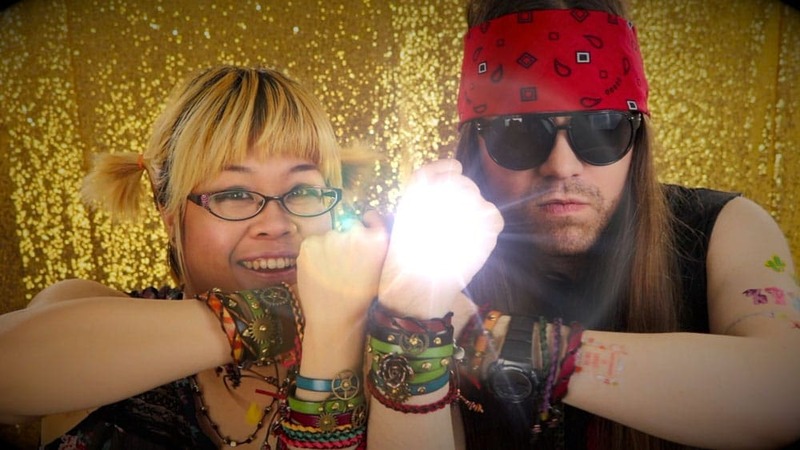 Wear more than one to look even more bada$$. The more the merrier! Watch the fun video below. The gear cannot turn around on this one as it’s riveted on both sides. The gear will not snag regular fabric but be careful around loosely knitted fabrics.